CPT is my (our?) baby and I (we?) want to see this baby grow. 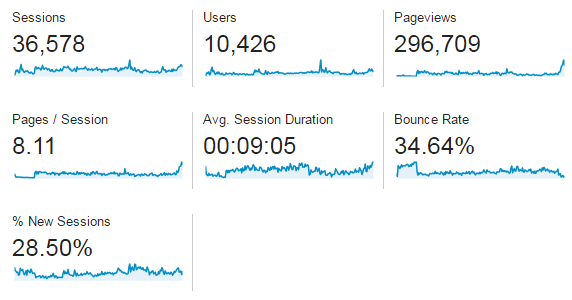 The past couple of weeks have been the busiest ever, largely due to members posting in the Game of Thrones threads and a little bit of that traffic trickling over into other topics. Now that this season is over I'm afraid we are going to lose our momentum. I'm looking for ideas to keep everyone engaged and posting. Getting new members is always exciting and helps spike activity, but I'm reaching the point where I can't sell out anymore. I've tapped most of my channels for finding members. Are there any shows (or topics) like Game of Thrones that should be spun off into their own forum to increase posting? It will be hard to find something as engaging as that show though. Just looking for some feedback and ideas. In the meantime everyone should go find a new member and force them to post. I'm watching as many movies as I can! There are only so many hours in the day! You guys should all have better taste, and then I would have movies to talk about with you. I can figure something out if you get some new members to post. Critter is your BFF and I was the one who had to recruit him since you were slacking. Wallinguana wrote: Source of the post I'm watching as many movies as I can! There are only so many hours in the day! An aircraft carrier has 6,000+ crew members and you have recruited a total of 0. Taptalk Stats - going down for some reason? I've been using tapatalk less too now that I have a new computer. I still use tapatalk whilst pooping. I generally check with tapatalk but post while on a computer. Troof. I didn't even know this place existed - and Tim's been here since 2013! Tyler wrote: Source of the post Taptalk Stats - going done for some reason? Watson asked about a way to easily invite friends. I was just playing around with a referral plugin that lets you send an email within CPT to email addresses and it includes a referral link. The point of the app is to create referral contents since it tracks when someone joins from your link. Neat idea, but I assume you're all too smart to be tricked into inviting people to join because of a contest. I'm not on an aircraft carrier yet! And when I am I will watch zero new movies for months at a time. Wallinguana wrote: Source of the post I'm not on an aircraft carrier yet! And when I am I will watch zero new movies for months at a time. I know you aren't, but that's no excuse! Does a carrier have the wifis? No. There are computers with Internet access but we all have to share so I will get very little time on them. There are recreation areas with video games and movies but I won't get to use that for several months until I am qualified to stand watch on the ship and no longer a "non-useful body"
"non-useful body" is a sad title. Didn't he make an account here once? I know a few of those guys did and never kept posting.